Over the next few weeks, we will examine the affects that the most common, temporary facial hair removal methods employed by women on a weekly, monthly and sometimes daily basis can have upon the delicate skin of the face. There is only one way to permanently remove facial hair – with the use of Electrolysis. First, we will look at plucking, sometimes referred to as tweezing. We are all aware that plucking is not a method that will permanently remove facial hair, but is a temporary facial hair removal method and a painful procedure that does the job in the short-term. Women all around the world use tweezers to pluck out facial hairs. For many it can be part of a beauty regime, and for others it can be an exercise to control excess and unwanted facial hair. However, did you realise that plucking can cause damage that only exacerbates the problem? 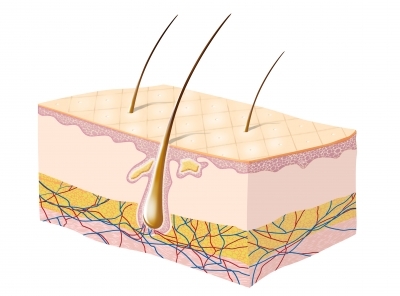 Every time we pluck out a hair, part of the lower follicle under the skin is torn out. The follicle can reconstruct itself with a better blood supply to nourish new hairs. This all results in a darker, thicker and often distorted hair re-emerging from that damaged follicle a few weeks or even months later. Tiny pieces of skin can also be torn away during tweezing, causing pitting which can lead to infection. Rarely do we realise the true extent of the effects of daily plucking as not all hairs grow at the same time. For every hair visible above the skin surface, more will be in their early stages below. Over time, the delicate skin of the face can become scarred and irritated by regular, excessive plucking, affecting the surface of the skin in addition to damaging the layers underneath and the follicle. So what is the answer if not temporary facial hair removal methods for women? Destroying the follicle is the only answer. Temporary facial hair removal is just that – temporary and now we can see that plucking will only make matters worse. Electrolysis, when performed by a qualified and experienced practitioner can bring permanent relief to the problem of excess and unwanted facial hair. Elaine, at Clinique Matrice is happy to bring her experience of over 20 years to Brisbane and help you to enjoy the relief of permanent facial hair removal. Click here to find out more about facial hair removal and to take a look at her stylish and conveniently located clinic – just for women. Isn’t it time for you to finally say goodbye to unsuccessful temporary facial hair removal methods?